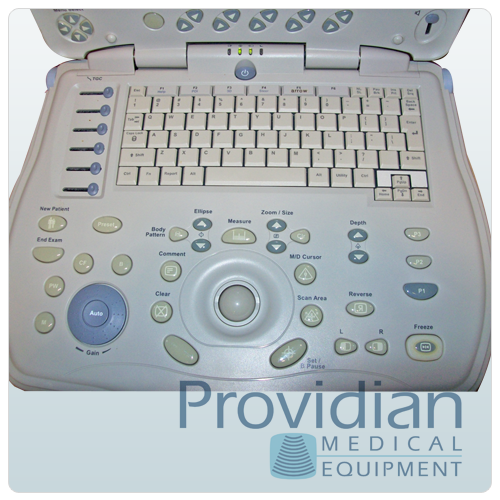 The GE LOGIQ Book ultrasound takes high-performance to a whole new level with its advanced, portable design. With its size about that of a laptop, the GE LOGIQ Book ultrasound can be hand-carried and it can be used anywhere, anytime. SmartScan — Automatic optimization that reduces operator dependent variabilities for improved consistency and productivity. ComfortScan — LOGIQ family userface and integrated, 10.3-inch, high-resolution color LCD. TruAccess — Stored raw data that allows the application of real-time scanning techniques to stored images. The GE LOGIQ Book also comes with a wide variety of other features to ensure optimal image quality, necessary speeds, and easy usability.